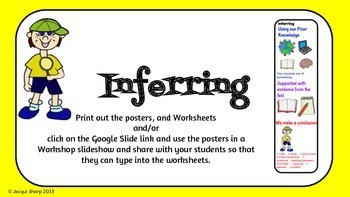 Inferring is one of the key Reading Comprehension Strategies. 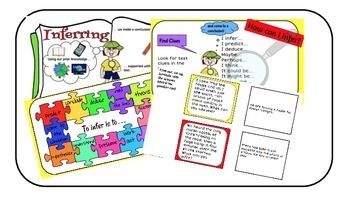 If students can use the inferring strategies of using Prior Knowledge, making conclusions supported with evidence from the text then that will enable you to see how well the student comprehends the written text. This is an important research strategy as well, so at the same time you will be teaching your students valuable research skills. 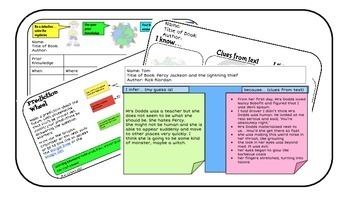 As an added bonus, teachers and students who have GAFE (Google Apps for Education) Google accounts can click on the shared links and use the worksheets and Graphic Organisers in Google Slides.